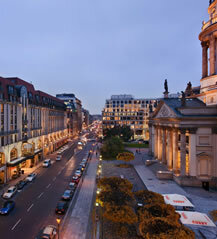 The 10th International Conference on Research in Advertising 2011 is organized by Martin Eisend (European University Viadrina Frankfurt/Oder, Germany) and Tobias Langner (Bergische University Wuppertal, Germany) and will be held in Berlin, one of the most exciting cities in Europe. ICORIA 2011 starts with a get-together at one of East-Berlin's most exciting sites. 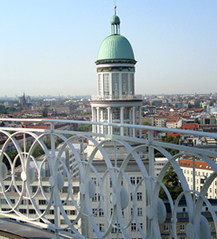 The tower of the Frankfurter Tor is located at the Karl-Marx-Avenue, which used to be a palatial boulevard at the time of Berlin's separation. The Karl-Marx-Avenue represents the typical ambience of the political East Berlin streetscape before the fall of the Berlin Wall in 1989. 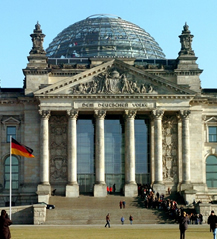 The conference dinner takes place in the roof garden restaurant of the Reichstag – the house of the German parliament. The legendary restaurant is renowned for its spectacular view over the city and its cuisine. The deadline for the Call for papers is approaching. Please email your 5 page-submission to papers@icoria.org before March 15th, 2011. You can find our guidelines on the EAA-website. Acceptance or rejection will be communicated before April 15th. For the upcoming ICORIA, we are looking for volunteers who are willing to serve as a reviewer. Reviewers are asked to review approximately three papers. The timeline for scheduling the conference requires that all submissions need to be reviewed before 8 April. Papers will be sending out for review on March 16. If you are willing to volunteer please send an e-mail to papers@icoria.org. Thank you very much for your support!